For many years classical Egyptologists maintained that the pyramids of Giza are grandiose tombs to commemorate dead Pharaohs, built by slave labour and laid out in a relatively unstructured manner. However, Egyptologist Robert Bauval has shed light on an intriguing theory and, according to one documentary, governments are “not confirming if it is true because it points to extraterrestrial life”. 2016 Amazon Prime documentary “Aliens in Egypt” reveals that pyramid theorists have claimed that “world governments have kept the confirmation of a particular theory a secret because it also points at the existence of aliens”. Conspiracy theorists and extraterrestrial life enthusiasts believe that confirmation of this theory will bring them one step closer to a revelation on alien life. The theory is based on the correlation between the location of the three largest pyramids of the Giza pyramid complex and Orion’s Belt. The claim – that emerged in the 1980s – attempted to explain why the Great Pyramid was built with such accuracy. The theory claims there is a correlation between the position of the three largest pyramids at Giza and the three stars comprising the belt in the constellation of Orion. 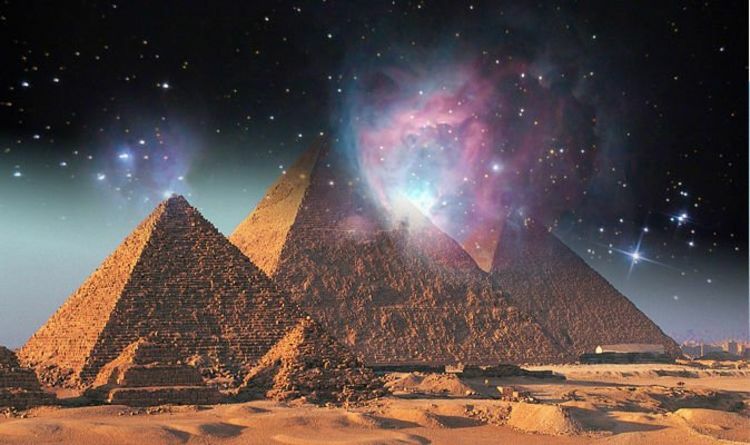 It is also claimed that there is a purposive relationship between the pyramids of the 4th Dynasty on the Giza Plateau and the alignment of the three stars of Orion’s Belt. Robert Bauval, dubbed the “New Egyptologist” originally proposed the theory in 1983 where he discovered, using a photograph, how the smallest of the three pyramids was offset slightly from the other two. The Egyptologist overlaid the stars of Orion over an aerial view of the pyramids and was astonished to discover they matched almost exactly. Mr Bauval published his findings in his book in 1994, “The Orion Mystery: Unlocking the Secrets of the Pyramids”. The documentary explains that the stars of Orion were associated with Osiris, the god of rebirth and afterlife, by the ancient Egyptians. It is important to mention that the Orion constellation is the brightest and most recognised constellation in the world. It has affected many cultures around the world and is one of the main navigation constellations used by sailors. It is also the one constellation that is viewable all over the world, as it lies on the celestial equator.